Pitcairn Island is probably best known as the remote island in the South Pacific where, in 1790, the mutineers of HMAV The Bounty finally found refuge with their Tahitian companions after seizing the ship a few days’ sail out of Tahiti. Fewer people know that Pitcairn Island is a British Overseas Territory, one of four small, diverse and unique islands which encompass a large exclusive economic zone, its pristine waters home to many endemic species, and protected since September 2016 by the world’s second-largest Marine Protected Area (836,000 km2). Today, the culture on the island blends British, Polynesian and wider Pacific roots, a legacy of its historic and contemporary links. Pitcairn is the only inhabited island of the Pitcairn Islands Group. It is situated 2170 km east-south-east of Tahiti, 1570 km west of Easter Island and 5310 km north-east of New Zealand. The other islands of the group, Henderson, Ducie and Oeno, support fragile ecologies and unique habitats. Henderson Island has been a UNESCO World Heritage Site since 1988. All four islands have sub-tropical climates. Pitcairn, in particular, has rich volcanic soil and lush vegetation. The islands are accessible only by sea. A quarterly passenger/supply ship currently provides three voyages each quarter to Pitcairn Island, with up to 12 visitor berths per voyage. There are no regular services to Henderson, Ducie or Oeno. This means the Pitcairn Islands group is among the most remote in the world. Pitcairn Island is committed to maintaining a vibrant community and attracting new migrants who wish to make a contribution to the community’s sustainable future. Pitcairn’s environment favours those who enjoy the outdoors, are at home in the natural, unspoilt environment, and would welcome the opportunity to be part of a small but lively community. The island enjoys good phone connections and internet service via satellite. However, not everyone will find that the isolated location and lack of frequent transport off the island is for them. Please read more in our FAQs, and Contact us if you wish to find out more about moving to Pitcairn Island. 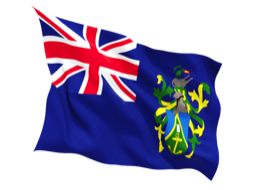 Learn more about the economy of Pitcairn. Learn more about Living on Pitcairn Island. Learn more about the Pitcairn Island community. Learn how new migrants can access land on Pitcairn. View all relevant documents that can be downloaded. Learn more about the history of Pitcairn Island. Are you ready to take the next step? Make Contact now. Pitcairn is only accessible by sea, every three months. Before you complete your settlement application form go the Tourism website to find out what you need to do to get to Pitcairn. It is possible to have your household effects shipped to Pitcairn Island. New migrants generally have their effects shipped to the Shuttle Group NZ, an international freight company. Shuttle Group also handles all of Pitcairn’s quarterly freight requirements. They provide a very helpful and reliable service.